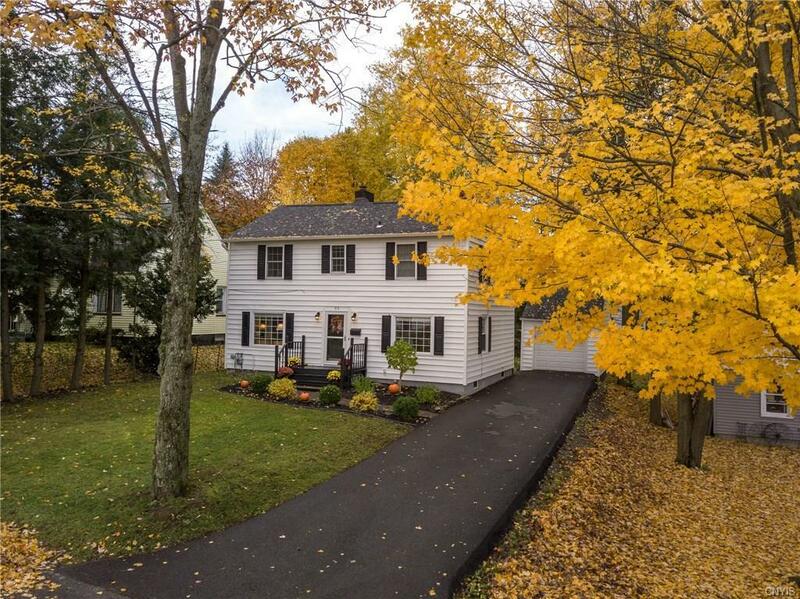 Welcome home to this move-in-ready 3 bedroom, 1.5 bath Colonial in the New Hartford School District. This home has all the new updates you could want including: central air, appliances, gas fireplace with custom built-in shelving, asphalt driveway, garage door, custom blinds, trex decking, refinished hardwoods and many more! You will want to show all your friends and family the beautiful renovations in the kitchen, bathrooms, and living room. With an amazing interior, easy and convenient location, pristine landscaping and decking, you can move right in to this home and be proud that this is yours!